Are you constantly sneezing whilst in bed or on that soft lounge, and when you go out you feel better? Or are you the kind of person who has a runny, stuffy nose and red, itchy eyes no matter where you are indoors? Can’t stop coughing and sneezing? And the severe wheezing, shortness of breath that may bring on asthma symptoms? Does it seem like there is no way to get well in your home? 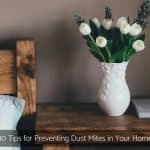 Dust Mites: 3 Proven Ways to Get Rid of Them! First, let’s learn a little bit about dust mites and how they grow. According to Platts-Mills (1987) they are microscopic 8 legged members of the arachnid family (spiders and ticks) living on skin cells. They thrive in warm, humid conditions, relative humidity range 65 – 80% and temperature range 20 – 22º C and more. Dust mites flourish in soft furnishings, bedding, carpets, soft toys, clothing, as well as in your vacuum cleaner and car. One more thing, dust mites reproduce every 21 days and excrete 20 to 30 faecal pellets every day, accumulating unnoticed in your pillow and mattress and bedding where there is moisture and skin cells for dust mites to feed on. Clearing your dust mite infested rooms doesn’t have to be a game of trial and error. Check out this step-by-step guide to help you reduce the dust mite load in your home. This is the most common sign of all the dust mite infested environments and yet the least observed because they start because of lack of understanding and recognition. Sometimes you’ll experience these symptoms on and off in your home which can cause your entire family dis-ease. You may also not see these dust mites inhabiting everywhere in soft materials. It’s really easy to brush off symptoms as nothing of concern and when you leave the dust mite infested home, you feel better. The hopeless thing about allergic symptoms to dust mites is that it’s easy to totally miss the diagnosis for some time. It may only show up in sneezing and can’t stop coughing, headaches and tiredness that are similar to having the flu in which case a little medication and rest will do the trick. Dust mites are invisible, usually in sub surfaces of materials that don’t get a lot of light or air though where there is moisture. They are there! 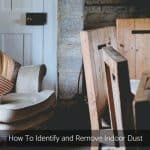 Dust mites you’ll find in soft materials, dark, moist furnishings and sometimes can be mistaken for poor cleaning practices that somehow never got aired out properly. These dust mites are difficult to get rid of and won’t be killed off by any normal dose of sunlight or a washing agent. You need to kill them by eliminating or covering the trigger or else you’ll be battling with it forever. Got dust mites? If so, it’s very easy to get rid of dust mites. Just follow these steps to reduce dust mite numbers and stop them from making you unwell! If you ever had dust mite allergies and thought that was tough, think again. Dust mites appear, multiply and defecate (poop), although the not so good thing is you will never get rid of them, totally! 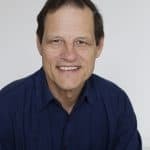 What makes dust mites so hard to get rid of is their habitation of soft materials in every room, it’s potentially to be further widespread than first thought. These dust mites are invisible to the eye, live in pillows, mattresses, carpets, lounges, vacuum cleaners and your car seats. Even Antarctica. Awesome! The parts that you can’t see but can imagine is opaque ‘rice grain’ shaped bodies and their droppings and dead bodies and parts deep in the materials of your furnishings. Just like dust, they appear the moment you bring in new furnishings and all your sheets are brand new and clean. To kill them you will need specialized anti dust mite covers and lots of natural sunlight and fresh air. Dust mites are perhaps the most difficult small critters to get rid of. Follow this step-by-step tutorial to help get rid of or at least reduce dust mites and their faeces in your home fast. Why Do I Have Dust Mites? Where there’s skin cells, there’s dust mites. Which is why bedding needs to be washed in hot water to ensure skin, bacteria, moisture and other growths are cleaned out of our beds and homes. The main reason why dust mites populate in your home is because bedding materials haven’t been aired and dried after a night’s occupation, or hasn’t been exposed to enough light. Also, when your home is lacking ventilation, and the moisture is stagnant, you’re gonna get dust mites. 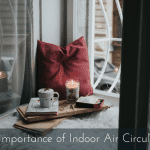 That’s why it’s important to keep the indoor air moving by opening windows and bringing in sunlight. It’s hard for dust mites to reproduce when the environment is drying. These are all great spots for dust mites to feed and multiply. So now that we have a general understanding of what dust mites are and why they are there, we must get rid of them or at least keep their numbers to a minimum! The more soft furnishings in your home, the more spread out the infestation will be. I’ve seen homes almost cluttered with stuff, more so the soft stuff, and no doubt by dust mite infestation. Just overwhelming! If you suspect you have allergic symptoms you need to thoroughly check your home in order to kill dust mites. Finding the trigger point is important. 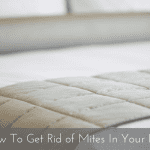 So, if you have a mattress or pillow older than 2 years and 10 years respectively, you need to stop dust mites by removing these, which I feel is necessary, or by replacing them and creating less dust mite load and more healthy sleeping spaces. And, if you have soft furnishings and toys, consider cleaning them professionally, removing them, replacing with hard surface materials creating healthier breathing spaces. If you have carpet in bedrooms or lounge room older than when ever, you need to remove them and create less dust and more breathing space either by cleaning them, replacing them with new or replacing with rugs. And if you have heavy window coverings over the windows you need to remove and wash or replace them with finer materials and create less dust and more light. If you’re unable to remove soft furnishings you need to remediate them by covering with anti dust mite covers so as not to breathe dust mite allergens in. If you have dark, closed up rooms, mattresses and bedding you will need to remediate it. So, you will need to open up the bed clothes, air and dry ALL surfaces, clean ALL surfaces, wash ALL soft materials, cover ALL bedding with anti dust mite allergy covers, ventilate, ventilate, ventilate. Simply dry and air out the mattresses and pillows, and cover with specifically designed and tested, fully zipped up cover! If you have stored and forgotten soft furnishings and overlooked cleaning practices you need to remediate them by airing, cleaning, vacuuming, repeat and covering up with allergy free covers, and so on. If you have a mattress or pillow, you need to vacuum your infested areas in order to remove some dust mites. So, it’s always best to book a treatment service with a Mitey Fresh Dust Mite Consultant with their experience and knowledge of materials and triggers where dust mites often hide. If you have numerous soft furnishings – mattresses, pillows, doonas, lounges – you will need to ring a Dust Mite Consultant. So, if you have an expert to discuss, assess and test dustmites, they can determine the size and extent of the dust mite colony before anti allergy covering and cleaning procedures can begin to stop them. It’s a good idea to book in your Dust Mite Consultant to save you money, reduce dust mites immediately, experience at discussing and assessing dust mites leading to the most optimum health results. Remember, open doors and windows and ventilate, ventilate, ventilate! Note: If you travel or visit relatives, you should check those spaces in the bedroom and lounge room, compare to yours. This will assist in determining if there is more to your dust mites than you first suspected. Also NEVER SLEEP IN AN UNOPENED ROOM! We cannot stress this enough. 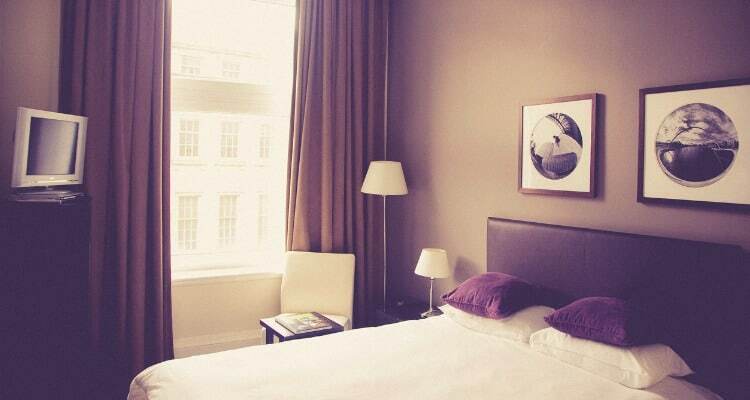 Guest rooms and spare beds are often regarded as the answer for accommodating and hosting different people, numerous bed occupancies actually contribute negatively to dust mite problems. Skin cells and moisture from sweating in bed and quietness between occupancies, contribute to dust mite numbers. And remember, always open windows when cleaning your room and home, fresh air and sunlight generates dryness, which is linked to reducing dust mite numbers for short term guests. Dust mite covers, anti allergy covers, are a cover which stops dust mites, their faeces (poo) and body parts, and nearly all particulates, by preventing you breathing in the proteins and particulates that make-up these beasties. It’s totally non-toxic and safe of course, you can sleep with it you know! It’s also breathable and environmentally cool and friendly. After all the dust mites have nowhere else to go, it’s your job to wash the bed linen weekly and vacuum OFF your pillows, mattresses and furniture. This method is less work and can be rewarding in gaining your health back, it stops dust mite infestation at the bedding fast, if done correctly. Note: This method is suitable for mattresses, pillows, doonas, quilts and custom made to suit any lounge and mattress size. I always recommend a 100% cotton cover with pore size down to 4.5 microns like AllerProtect’s. It is Australian owned, and very effective for keeping dust mites from infesting in your bedding. Read more here about the benefits of stop dust mite allergy covers. You can start using the cover right out of the bag. I prefer to use AllerProtect 100% pure cotton, and for budget conscious, Mite Guard. It’s as simple as get a friend. This will be more suitable for all sized mattresses. 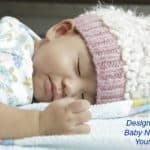 All this does is provides a second pair of hands by holding the mattress upright rather than struggle and tussle with mattress and cover on your own. Remove cover from bag and spread out on your mattress. Find the zipper end of the cover and open the zipper. Turn cover around so as zipper end is facing to the foot of bed and non zipper end facing to head of the bed. Lay out flat. With your friend, slip the foot end of the mattress to the floor and stand the mattress upright. This can be easily achieved between two confident people depending on size of your mattress. Slip open zip end onto the head end of mattress. Slip the cover from top to bottom and let the cover slide down naturally. Before you turn your attention to pulling down the cover, make sure you allow the cover to move easily without catching on any corners or thicker parts, consistently. You don’t want this. Make sure cover is slipping on evenly and equally between the two of you. Also, make sure the mattress is stable and not flopping over or slipping on the floor. Once the cover is slipped on the head end top of mattress at this point, you can put the mattress back down onto the base and carefully join the two material panels at the zipper end. SLOWLY zip up to catch zipper teeth correctly. Use both index finger and thumb to pull zipper and use other index and thumb to make sure the passage is clear from threads or material. You may have to do several checks depending on how big your mattress is (I told you it would be less work). To stop dust mites from pillow and doonas, cover them in an anti dust mite cover as well. Then put on your decorative cover. To replace a pillow or doona from an infested home or because the pillow is older than 2 years, check out the professionals Mitey Fresh store for AllerProtect Pillow and Silk Doonas. Regularly cleaning your home by vacuuming with a power head and HEPA filter helps to reduce dust mite load. You can vacuum your carpets and rugs each week. Regularly mopping your hard floors with vinegar and water solution each week is also good. 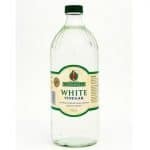 Vinegar is also effective for cleaning the kitchen. If you have a power head on your vacuum you can reduce dust mites by using it every now and again after a change of season. Uncover your mattress, doona and pillows after you wake up and extract those beasties. Tackle that soft material furniture in the lounge room or dining room, one cushion at a time! 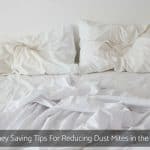 With just little bit of hot sun, time and energy, and this inexpensive method, you can take your mattress, pillow, doona, and lounge pillows out into the fresh air and have your dust mites run for cover and moisture dry up, if you’re willing to do the work. With the freezer empty, another inexpensive method, you can throw the soft toys in and freeze them, that is the dust mites. When you’re done cleaning out the affected furnishings and everything is back in its place and all made up, I would suggest double checking your room to make sure ALL the dust mite surfaces have either been removed or cleaned. I’d recommend damp microfibre cloth and vacuum solution weekly as a preventive and should be used throughout the year. The reason is, once you start cleaning weekly that can reduce dustmites, these methods reducing dust, bacteria and germs too. You can mop your floor with vinegar each week, open windows and doors and let fresh air and sunlight in too. There are essential oils that are known as “dust mite deterrents.” These are great preventives that I recommend, but I would not use them in large doses to reduce dust mites. Use tea tree essential oil, in small amounts, as a house cleaner. To sum it up, some essential oils DO neutralize dust mites, but not all. Make sure you ask your local professional aromatherapist which essential oils are the deterrent kind. Or make sure you read the specs carefully if you are buying an essential oil online. All of these methods work. In fact, you might visit three different websites or talk to three different people and they will usually just promote one way of doing it. This is why getting your dust mite care information from different places can cause confusion. My recommendation is using which method is appropriate for your personal situation. Method 1, it’s effective, it’s progressive, and it PREVENTS all the dust mites, customised to you and your family’s situation. I use Method 2, out of sight, out of mind, like when oh yeah, I’ve got dust mite COVERED! and method 3 is for those who are reading this for the first time following suffering from dust mites in their home. Our passion comes from pure necessity that we can all live natural and healthy lives, we can all contribute to human wellbeing and preservation and determine the future health of our children and their environment tomorrow. As a result of working with us, women and their families thrive, work places and their personnel prosper, mouldy / chemical / electrical sensitive occupants heal. They’re healthier, they’re alert, they’re happier, more relaxed, more productive, and enjoying life. Platts-Mills TAE, Chapman MD. Dust mites: Immunology, allergic disease, and environmental control.